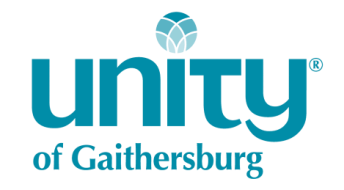 sign up for our newsletter at the bottom of this page, check out our calendar here, or email admin@unityofgaithersburg.org. Wednesdays in the Education Building. 12-1:30 p.m. & 8-9 p.m. The Energy Healing team holds sacred space for all those on their healing journey through active prayer, Reiki, Healing Touch Therapeutic Touch, drumming, crystal bowls, didgeridoo, and toning. Contact Team Leader Judy McMillan. The labyrinth is an ancient tool for meditation, contemplation, and going within. Several times a year we clear our sanctuary to make space for our indoor labyrinth. All are welcome to experience this sacred walk. Please bring a love offering. We invite all women to join this circle! Our programs are designed to help deepen our spirituality and we also host events and activities just for fun. The first Wednesday of each month | 10:30 a.m. Through energy healing, meditations, intuitive messages and guidance, participants get in touch with their higher selves and inner voice. Afie teaches simple exercises and tools to connect to the energy of All That Is, practice forgiveness, and lessen the influence of the ego.